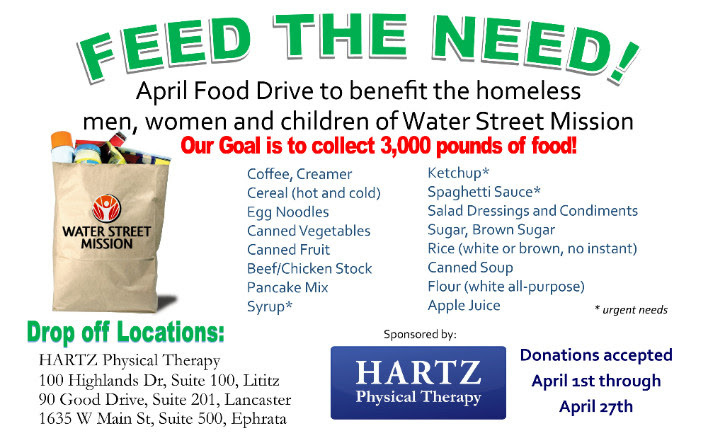 Hartz Physical Therapy is collecting items and donations to benefit the homeless men, women and children of Water Street Mission through the month of April. Their goal is to collect 3,000 pounds of food! Click here for a list of some items needed.